The Wolf Book Launch Day was an absolutely excellent day. Having never been to a book launch before, I had no idea what to expect. I was given the Wolf Kitchen in which to display my artwork. A super wolfy venue and Tehya, my lovely Leo, received heaps of cuddles and attention. 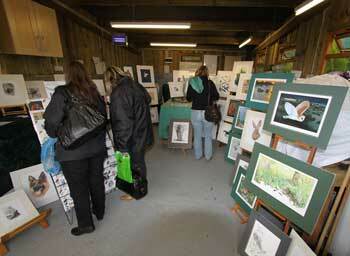 The sun was shining and many people attended and visited my little Gallery/Wolf Kitchen. 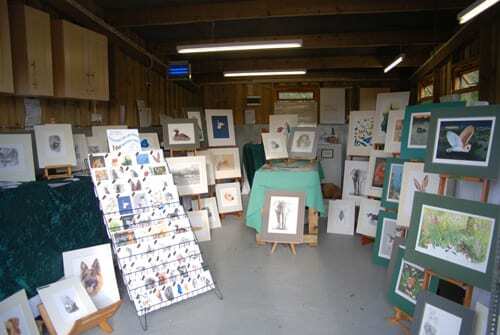 Thank you to Tsa Palmer and the UKWCT team for kindly providing such a lovely space for my artwork. A percentage of the sale of my prints and cards was donated to the UK Wolf Conservation Trust and to help to protect wolves around the world. 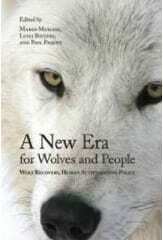 Thank you once again Denise and Marco for inviting me to be a part of ‘A New Era for Wolves and People’. 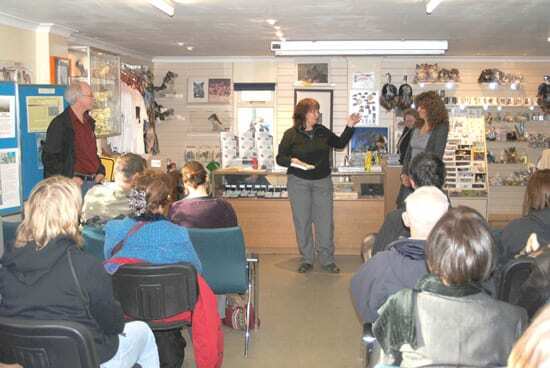 Below are some pictures from the Book Launch day at UKWCT. 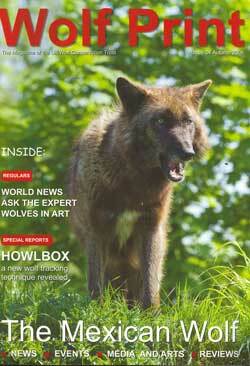 From 2006-2010 I was actively involved with the Wolf Trust. The week of October 5th 2008 was one of the busiest. 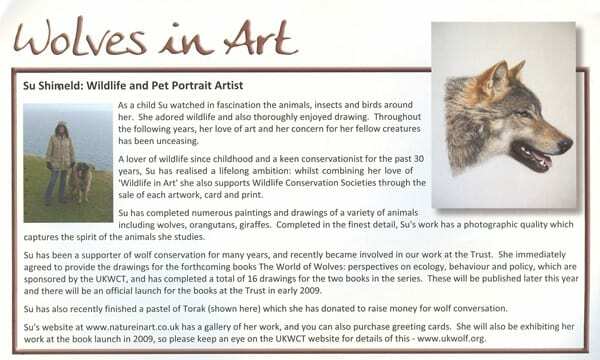 I was organising my art stand for World Animal Day at the Wolf Trust, whilst also writing an article about my artwork for the ‘Wolf Watch’ magazine. 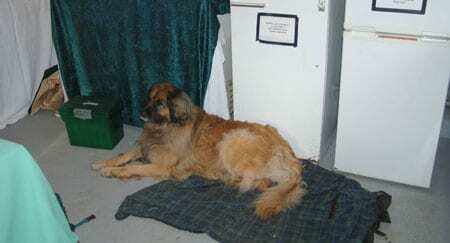 Meanwhile I was also writing and sorting photographs for an ‘Artists & Illustrators’ magazine article and working with Labrador Lifeline Trust. On top of this I was also discussing sponsorship and photos with Hahnemuhle Fine Art. Exciting times! 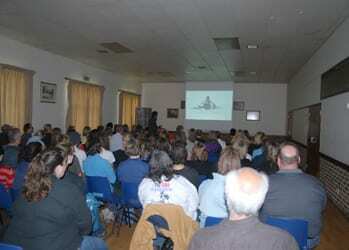 In 2009, Brian and I were invited to attend the U.K Wolf Conservation Trust Seminar in Reading. Dr. Marco Musiani, Assistant Professor at the University of Calgary and author of ‘A New Era for Wolves and People’, opened the proceedings with a slide show displaying my artwork on a huge screen. Brian and I sat there in utter amazement as neither of us had expected my artwork to be even mentioned, nevermind see it on a whopping big screen in front of an audience of 60+ people. Marco spoke kindly of my contribution to the book and I was on Cloud 9! Other speakers included Dr. Alistair J . Bath a social scientist who studies human dimensions in wildlife resource management issues and Dr. Claudio Sillero-Zubiri, a British zoologist, conservation biologist and founder of the Ethiopian Wolf Conservation Programme. 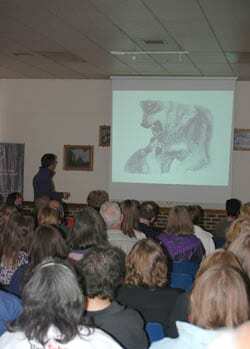 Later in the day I met Claudio, Alistair and Wildlife Photographer, Chris Senior. It was a super day. 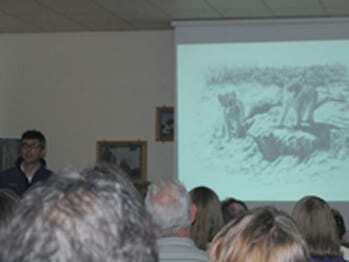 www.ukwct.org.uk The launch of a new wolf book which the UK Wolf Conservation Trust has supported since the concept was first realised by Professor Marco Musiani at a wolf symposium in Banff, Canada. 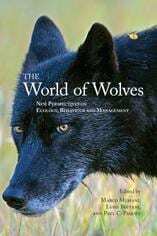 Marco and his co-editors, Luigi Boitani and Paul Paquet have brought together ground-breaking research from biologists and wolf conservationists throughout the world. The project became so big that the book was subsequently split into a series of two books. The second book, with a strong human dimensions focus, published February 2010. 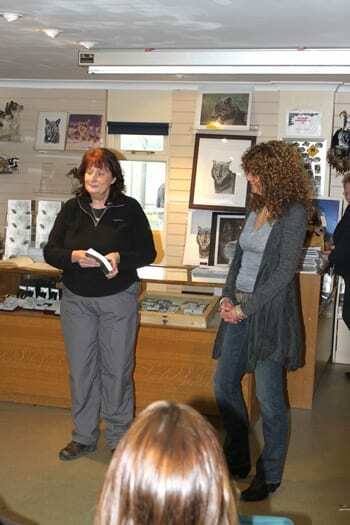 UKWCT specialist adviser, Denise Taylor, was the project manager for both books, and commissioned the accomplished wildlife artist, Susan Shimeld, on behalf of the Trust to produce a series of unique drawings and sketches to illustrate the book.